Huawei has launched the Honor 6 in Europe during a special event in Berlin, but the Chinese firm is keen to keep its name distant from this new brand. 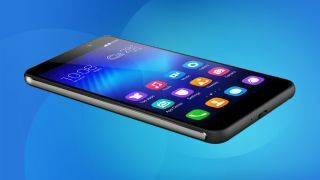 The Honor 6 isn't actually a new phone, it launched in Asia back in June, but this is the first time it's landed in Europe and it's arrived claiming the 'world's fastest smartphone' title. That claim is backed up with CAT 6 LTE connectivity which can provide theoretical download speeds of up to 300Mbps, but you'll never get that in the UK as the networks aren't set up to deliver such speeds just yet. The CAT 6 4G is built into Huawei's own Kirin 920 octa-core processor which sits alongside 3GB of RAM, so there won't be any shortage of power. Has it got the power? There's a 5-inch full HD display and 5MP on the front while on the rear you'll find a 13MP camera. Inside you get a 3100mAh battery which is claimed will last over two days on a single charge thanks to Huawei's SmartPower2.0 technology. We'll have to wait until the full review to put that claim to the test. That's not a bad lineup of specs considering the reasonably low price point. The Honor 6 will be available from October 29 for £249.99 (€299), although only via Amazon. You won't be able to walk into a phone shop and pick up this handset. While you may not be able to access those superfast 4G speeds just yet, you can at least be safe in the knowledge that the handset is futureproofed for at least the next few years - when hopefully we'll see CAT 6 LTE support come to the UK.